Fight against breast cancer. 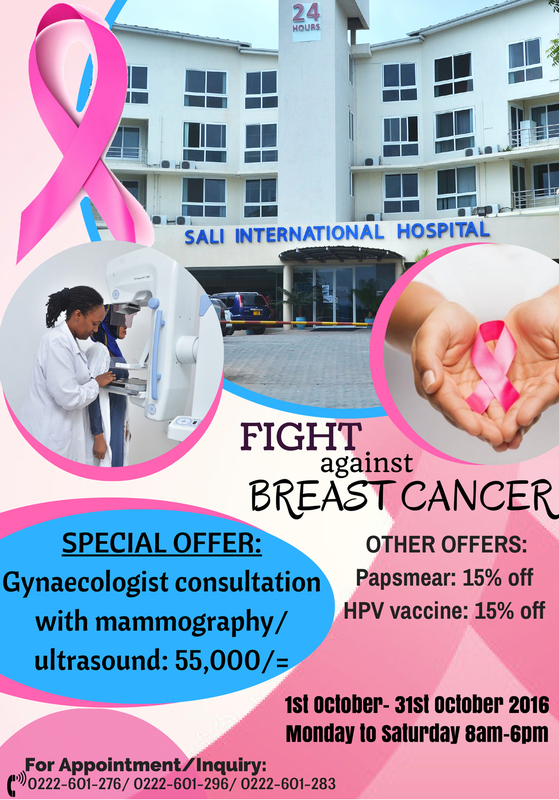 Check out special offers from Sali International Hospital and get yourself checked today. Breast Cancer Awareness Month No Tricks only Treats!